May 10 Comments Off on Signs and symptoms for glaucoma? It was originally thought that an increase in eye pressure caused all types of glaucoma, but we know that is no longer the case. 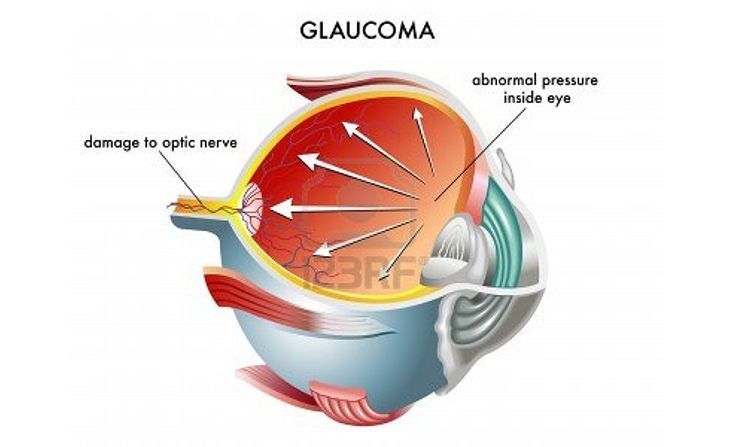 While elevated pressures causes Chronic Open Angle glaucoma, in some people damage is cause with “normal” pressure. – Normal Tension glaucoma. Unfortunately in both cases there are no outward signs or symptoms that glaucoma is present. This is why glaucoma is often called the silent thief of sight. In Closed Angle glaucoma, the angle between the colored part of the eye (the iris) and the clear part of the eye (the cornea) closes preventing fluid (aqueous humor) that normally leaves the eye from this angle from escaping from the eye. When the aqueous can’t escape a sudden rise in pressure can occur. When the pressure rise is sudden, the eye becomes acutely painful — something impossible to ignore and which constitutes an emergency. Fortunately, Close Angle glaucoma is rare. The only way to determine if you have glaucoma or are at risk for either Open Angle, Normal Tension or Closed Angle glaucoma is with a thorough, complete eye exam. This exam includes ophthalmoscopy — a look at the back of the eye with a special scope as well as slit lamp biomicroscopy — a view of the angle. Screening exams where only the pressure is measured in some free screenings cannot rule out glaucoma because low tension glaucoma will be missed as will those at risk for closed angle glaucoma.